I'm terribly behind with a few (okay, several) tasks and trying to catch up on a few to-dos, so please pardon my not-so-timely blog posts! I'll aim to get back on schedule very soon. Plus, keep your eye out for the upcoming Q&A with author David Poyer... and other writerly news. Call for submissions: Accents Publishing, an independent press for brilliant voices, seeks poems of up to 50 words for an anthology of very short poems, edited by Katerina Stoykova-Klemer. Previously published work is accepted if credited. Send submissions, along with short bio, in the body of an e-mail to accents.publishing@gmail.com. Hi, Judith. What can you tell us about He Art? 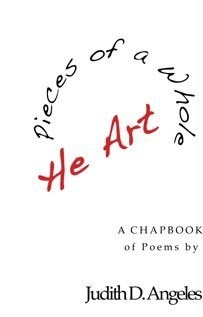 He Art is my first self-published chapbook of poems. It is semi-autobiographical and it is talking directly to the “he.” That is why I called it He Art, because it talks to the “he” through the art of poetry. All the poems deal with the theme of love and relationships, which is why I thought He Art is an appropriate title. In 2003, you were selected out of 500 participants to represent New York City in Chicago at Brave New Voices poetry competition. Tell us about this experience. The experience was nothing short of amazing. Every year Youth Speaks hosts an international festival and competition of poetry for the youth, ages 13-19. I was selected alongside four other participants to represent New York City in the festival, which was held in Chicago that year. Although it was a competition, it never felt that way. It felt like a festival where poetry and spoken word was encouraged and celebrated. Our team was sponsored by Urban Word NYC, an organization that advocates for literacy through poetry and theatre for teenagers. In addition to poetry, you also write non-fiction. How do you balance all of your writing interests? Writing is what keeps me balanced. I don’t have a set formula, although I think I should. Whenever I am inclined, I write. Sometimes it’s a blog, a journal entry, an article, an essay, fragments... but mostly they are poems. You’ve attended a writing retreat at Bennington College in Vermont. How did this experience benefit you? The retreat benefited me because it is always refreshing to be amongst other writers who love their craft. It was also very peaceful. I got to write with exceptional writers and when class was finished I went into my room, which sat on a hill and stared into nature, while on my wooden desk there was nature compressed, ready for me to write. It is such a nifty idea to be in an environment that completely supports your desire to write. The world couldn’t be more perfect than that. You’re actively involved with a number of not-for-profit organizations. Can you tell us about your interests and passion for helping others? If it weren’t for my mentors now and then, I wouldn’t have the self-confidence to write and to continue to write. It is because of them that I want to give. I was given this talent, so it is only natural to keep giving. Where can readers learn more about you and your work? I just started a press, so the best way to find out more is via the web at http://www.zionimprints.com/ or follow me on twitter at www.twitter.com/zionimprints. 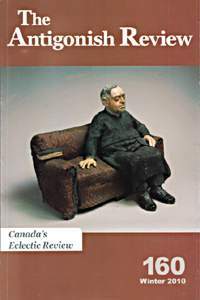 The Antigonish Review Announces a Special 40th Anniversary Contest! To celebrate 40 years of publication, The Antigonish Review invites entries to a special 'TAR 40' contest! First prize $400 and publication in the TAR 40th Anniversary issue in fall, 2010; two other honorable mentions with publication in fall, 2010 issue. Entires will be prose in any of its various manifestations - flash fiction, memoir, prose poem, hybrid piece - 400 words max. Entries must include the words 'Antigonish' and 'review' somewhere, though not necessarily consecutively. DEADLINE for entries: August 15, 2010. For More Information, email tar@stfx.ca or visit http://www.antigonishreview.com/. 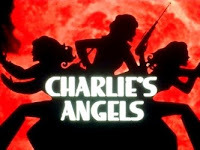 Yesterday, I spent the majority of my day learning the ins and outs of ANGEL. My only disappointment was that there was no support line to reach Charlie. However, I very much enjoyed learning more about Blackboard’s ANGEL LMS (Learning Management System) used by Macomb Community College, where I teach various creative writing courses. This new know-how will enable me to offer a few online classes in the coming year. Since I was already experienced with other Blackboard systems and various distance learning delivery systems, there was very little learning curve. ANGEL is definitely user-friendly! I post on the topic today as I am curious what online writing classes you might be interested in seeing taught by moi. I asked my on-campus students the same question this week as my coordinator and department are preparing for the 2011 catalogue of offerings. The nice thing about online courses is that you don’t have to live in the area in which the classes are offered. You can live anywhere and so long as you have access to the ‘net, you’re good to go. Pretty cool. So, what (non-credit) online writing courses might interest you? Here is a small sampling of what we’re looking into as possibilities, but I’d certainly appreciate any suggestions. Feel free to make suggestions of what might interest you! My email is lori@loriamay.com. 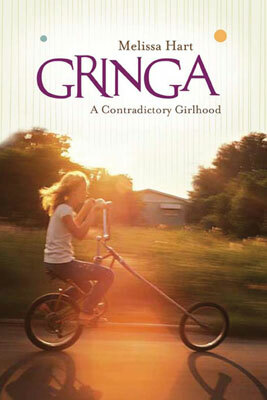 I’m pleased to share a Q&A today with Melissa Hart, author of Gringa: A Contradictory Girlhood. Melissa teaches journalism at the University of Oregon and memoir writing for U.C. Berkeley’s online extension program. 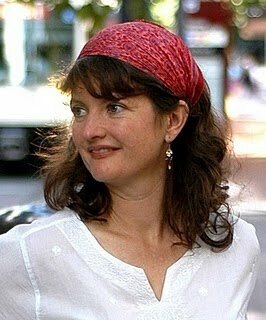 She’s also a contributing editor at The Writer Magazine. Melissa’s essays have appeared in The Washington Post, The Los Angeles Times, The Chronicle of Higher Education, The Advocate, Fourth Genre, and numerous other publications. Melissa, Gringa is a delightful read. It is heartwarming, illuminating, and downright humorous. As an author, when did you realize you were funny? Thanks so much, Lori—I’m glad you enjoyed Gringa. You know, I didn’t think that much about being a humor writer until I started making a living at it about ten year ago as a writer of short humorous commentary which is my favorite way to explore serious social issues. But last summer, I was helping my mother clean out her garage and she unearthed a little book I’d written in the second or third grade. Titled “Little Rabbit Meets a Snake,” it has a terrycloth cover and hand-drawn pictures with text that impresses me for its humorous irony and wordplay. (It’s much better than some of the pieces I’m writing now.) I’ve always loved humor—can’t help it with a family background in vaudeville and the circus—and I’d forgotten that I used wit in my writing 30 years ago! Humor is often a great tool to counter the more tender and touchy subjects within a memoir. What words of wisdom can you offer an emerging memoirist who maybe doesn’t consider him/herself ‘funny’? I know that I far prefer to read memoir that’s got sparkling moments of humor to a woe-is-me type of story, but . . . I’d advise emerging memoirists not to try to be funny. Then, disaster strikes and the writing often feels forced. Instead, tell the stories that make you and your family and friends laugh, and trust that the humor is there in the details. If you’re worried about whether or not a story is funny—or you just want to practice telling it for an audience—gather together a group of friends over dinner or drinks and tell your most amusing anecdotes. I find that this helps my pacing and delivery when it comes time to write a rough draft. I love the narrative arc of Gringa. Each chapter flows well into the next, painting the big picture. Yet, each chapter also works well as a stand-alone tale worthy of excerpt. Life is anything but linear-what challenges did you face in balancing what was important to include and what was necessary to leave out? 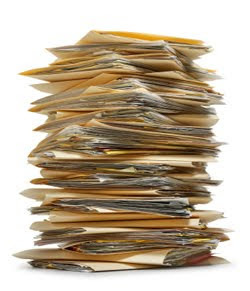 The original Gringa manuscript contained five chapters after “Citizens of the World.” My editor decided to leave them out because she wanted the book to have a coming-of-age trajectory, and the last five chapters explored my life as a thirtysomething. In the end, I think she made a good choice and I’m using much of the material in my new book (tentatively titled Learning to Triangulate: A Romance, An Adoption, and a Baby Barred Owl). It was really difficult to leave out the details of my father’s abuse—especially as they served as motivating factors for the rest of the family’s actions—but my mother asked me not to put it into print. There’s still such a stigma about battered wives who stay with abusive husbands, and I could have run into some legal trouble had I told as much as I would have liked to. I am proud, of course, that in the chapter titled “Chimichangas” I was able to point out my dad’s fantastic ability to curse in alphabetical order. The memoir market is growing—and increasingly accessible—for emerging authors. What would you say are some of the common pitfalls new authors have when approaching this genre? What are some misconceptions about writing memoir? I’m so glad the memoir market continues to grow, and that emerging authors find is accessible! Some of the pitfalls I see when I teach workshops on the subject involve writers who feel that they have to tell their whole story from the moment of conception until now, and their crippling self-editing due to concerns that friends and family will feel insulted. Choose an era or theme from your life that’s unusual, and write a memoir about this. For instance, a decade ago the writer Martha Beck told the story of nine months in which she conceived and decided to keep a baby with Down syndrome in spite of Harvard professors cautioning her against this choice. Another author, Robin Cody, just published a selection of memoiristic essays about his experiences navigating Northwest rivers on a boat. He’s interspersed stories about being a baseball umpire and a school bus driver for developmentally disabled and at-risk youth, but these occurred at the same time he was journeying on rivers and so the book feels tightly focused around several years of his life. As far as writing about family and friends, really marvelous things can come out of being brave enough to tell your own stories. My family, historically not open to discussing much about my mother losing custody of us in the 1970s, talked a lot more about this after Gringa came out. Friends and I have had frank dialogues about the perils of homophobia, especially as it affected us growing up. Write your truth, but if you’re really worried about repercussions, you can either write under a pen name or wait until the key characters have passed on. I want to point out that Sue William Silverman has a wonderful book about this subject, titled Fearless Confessions: A Writer’s Guide to Memoir. You can read an interview I did with her on my blog, here. What can you tell us about the sessions you’re presenting at the upcoming Pacific Northwest Writers’ Conference? Where can readers find more information? You can find a link to the conference and the fabulous workshops scheduled here. I’ll be teaching a course on how to write short and longer memoir; we’ll discuss structure and theme, as well as ethical considerations and how to approach editors and agents. I’ll also be teaching a course on how to write essays for fun and profit. Don’t let the word “essay” scare you—we’re talking social and political commentary, family anecdotes, environmental pieces for magazines, newspapers, and radio programs. It’s an exciting and lucrative genre, perfect for building or adding to your platform. Today’s post is a mishmash of upcoming author Q&As and writing workshops. I’m keeping it light for the heat wave of the long weekend. Email me for more info. I’ll post more info on the fall workshops as we approach September. It’s just too early to rush summer along. Have a great week and remember to come back this Wednesday for my Q&A with author Melissa Hart!